Jamie Ferman is an international trade specialist focusing on the consumer goods industry. I have always loved my job. Since 1999, I have worked in the Office of Consumer Goods in the Manufacturing and Services division of the International Trade Administration and have covered numerous industries, with a primary focus on toys. But in January, I was asked to take on a special project for the U.S. host year of Asia-Pacific Economic Cooperation (APEC) to organize and implement the first meeting of the APEC Wine Regulatory Forum (WRF). Last week in San Francisco, it all came together as one of the projects of the third Senior Officials Meeting. With 110 wine regulators and industry representatives from 18 APEC economies, we discussed the sharing of best practices on wine certification, laboratory testing, and labeling. We had 30 speakers from 13 different economies, with a major focus on encouraging economies to get involved with the international organizations that focus on wine, especially World Wine Trade Group, an informal group of government and industry representatives including the United States, Argentina, Australia, Canada, Chile, Georgia, New Zealand and South Africa which works to facilitate wine trade. In the past decade, wine trade in the 21-nation APEC region has grown significantly, accounting for 26 percent of all global trade in 2010, up from 21.8 percent in 2000. More than one-fifth of APEC members’ global wine trade is conducted within the region, which has tripled to $3.6 billion in value over the last decade. Given the importance of wine trade to some of our cosponsoring economies, Australia, Chile, New Zealand, and Peru, it is not surprising that our event drew some big names, like our key-note speaker, former World Trade Organization (WTO) Director-General and current New Zealand Ambassador to the U.S. Michael Moore. In his remarks, Ambassador Moore noted that the APEC wine trade, while quickly growing in significance, is burdened by different and sometimes conflicting regulatory requirements which are estimated to cost APEC economies and businesses approximately $1 billion USD per year. Ambassador Moore also explained how New Zealand developed its wine industry from being small and domestically focused, to becoming a major international player by opening the market to imports and streamlining the regulations. And yes, we did sample some of the best wine in California. At the close of the first day, the event’s private-sector cosponsor, the Wine Institute, hosted a reception at the historic Ferry Terminal overlooking San Francisco Bay which featured wines from the Napa Valley Vintners Association. 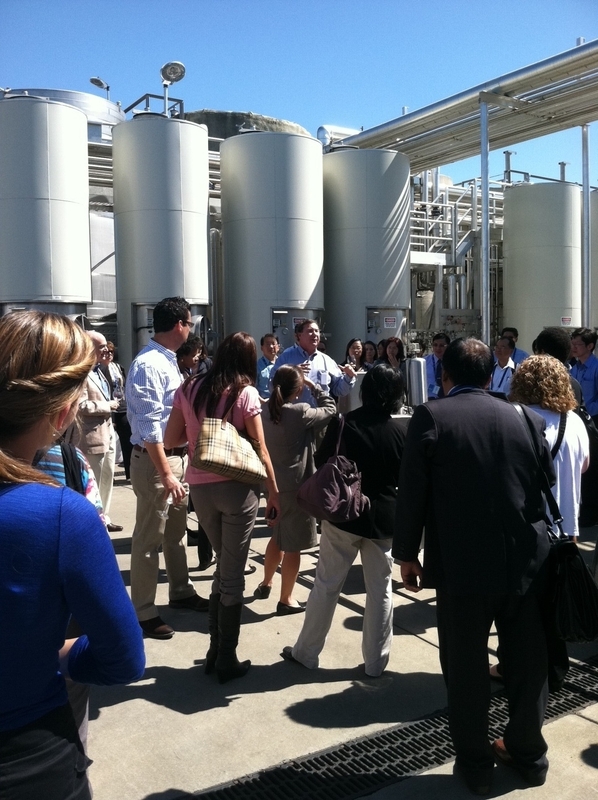 After a regulators-only breakfast on the second day, we boarded a bus for the Livermore Valley and held our remaining sessions at the Concannon Vineyard and Winery. After agreeing in the Outcomes Statement to meet again to discuss critical issues like streamlining paper certifications for wine, which were documented and presented at the meeting by our U.S. regulatory partner, the Alcohol and Tobacco Tax Trade Bureau (TTB), we went on a tour and tasting of the Concannon wines. 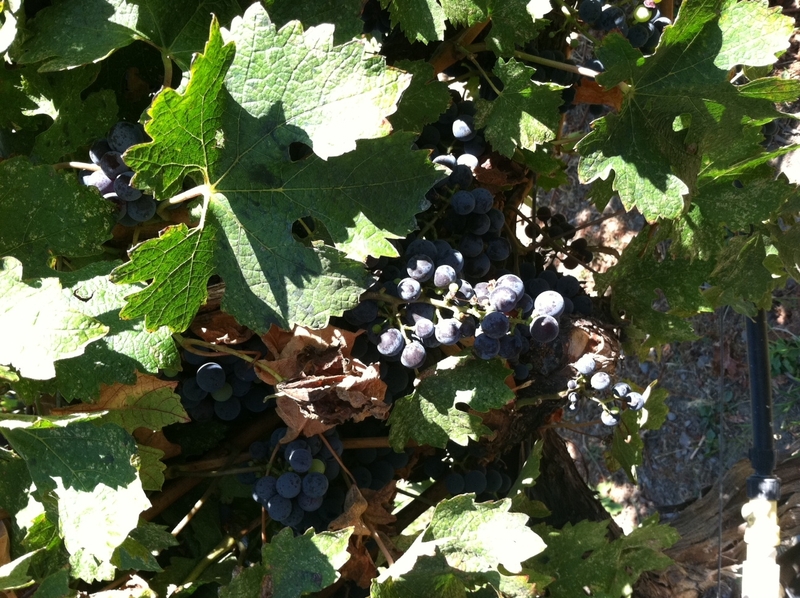 The grapes were still about two weeks away from harvest, so we sampled them right off the vine. We ended the day by a tour of the TTB wine testing lab in Walnut Creek, CA where scientists in white lab coats gave us a glimpse of the hard science behind their regulatory mandate. All in all, this assignment was one of the best I have had during my time at Commerce. I am especially thankful for the chance to work with Tom LaFaille, Director of International Trade Policy at the Wine Institute and to the great U.S. government APEC team led by Julia Doherty, from the U.S. Trade Representative and Jennifer Stradtman from the International Trade Administration. The presentations and other key documents from the WRF including the Outcomes Statement are available on the Wine Institute’s website. APEC was established in 1989 in response to the growing interdependence of Asia-Pacific economies and the advent of regional economic blocs in other parts of the world. It fosters growth and prosperity by facilitating economic cooperation and expanding trade and investment throughout the region. APEC’s member economies today account for 55% of global gross domestic product, 61% of all U.S. export goods and 44% of world trade, and comprise a market of 2.7 billion consumers.